For a unique look that has incredible trafficable free spans, and an inherent flexing ability, choose Multidek. Available in the full Colourbond range of colours, with a low 2 degree pitch, Multideks profile makes it ideal to create a statement in both appearance and its structural benefits. 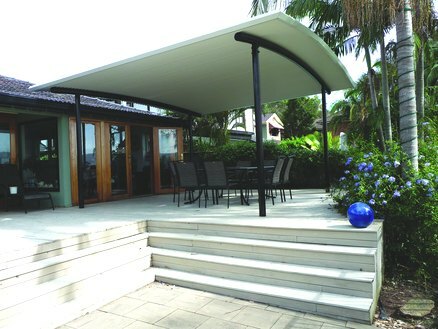 Multidek is typically used for awnings, verandahs, commercial applications and anywhere you desire to create a unique look. Multidek can even be manufactured with corrosion resistant skind stop and bottom, making it suitable for even harsh coastal environments. 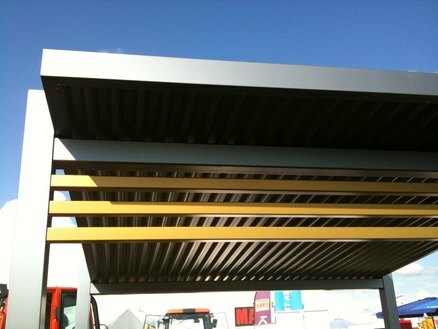 Panels customised to your cutback and lapping specifications.